What Causes Back Pain & Lower Back Pain? It is estimated that four out of five people will suffer from back and lower back pain at some point in their lives. Causes of back pain are varied, but in the majority of cases the causes are linked to the way in which the bones, muscles and ligaments in the back work together. Most of the time back pain is not caused by serious injury or disease but by minor sprains and injuries; overuse of muscles during sports or gardening, or pinching and irritation of the nerves caused by our everyday activities like bending, stretching or lifting heavy objects. Our lifestyle choices too can contribute to back problems; too many hours spent sitting hunched up in front of a computer or driving long distances and even keeping fit can all contribute to back pain. 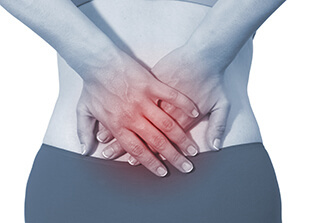 Sometimes back pain is a symptom of an underlying medical condition such as sciatica, arthritis or rheumatism. If you are experiencing back pain or lower back pain it is a good idea to visit your GP to rule out any more serious complaints. Your osteopath Helen How will also refer you to your doctor should she feel that this is necessary and will work with your GP or consultant or after back surgery to create a personalised rehabilitation programme which may include osteopathic treatment, pain management techniques and gentle exercise. Why is Osteopathy Effective In Treating Back Pain? The emphasis on the role of the musculoskeletal system in maintaining well-being means that osteopathy is extremely effective in treating back pain. Problems in the back and pressure on specific nerve roots can disturb the functioning of the body, causing pain and discomfort throughout the entire body. The holistic approach to osteopathic treatment at the How Osteopathic Clinic ensures that each patient is viewed as an individual and treatment may use a variety of osteopathic techniques; ranging from traditional osteopathy and cranial osteopathy to more modern osteopathic treatments such as Exercise Rehabilitation, vibrotherapy and Shockwave Therapy; all of which are designed to correct and realign the mechanical structure and to enable the body to stimulate it’s own healing processes. Helen has been has the current Storz Medical Focus Shockwave Therapy which is in great demand as the Focus can penetrate deep chronic back muscles spasms up to 6 cms where hands and manipulation or exercises cannot release. As the muscles release then quality exercises and rehabilitation work more effectively. From the moment I met Helen she has helped me get through one of the worst experiences of my life. Helen has helped me get through a operation and with her machines she has helped me pre and post op. Without Helen I wouldn’t have made the recovery I have made. Helen has helped me physically and mentally and has been there for me 24/7 when I have needed her. I cannot put into words how special Helen is. I have never met a professional who cares so much about their patients. This lady is a angel and it scares me to think where I would be had I not received treatment from her. 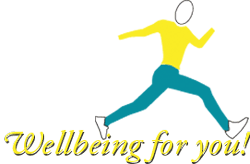 To arrange an appointment with Edinburgh osteopath Helen How, contact The How Osteopathic Clinic Edinburgh by email or telephone 0131 551 1044.